Still trying to figure out how to celebrate Valentine’s Day this year, or create more memories with that special someone? At Sandos, we have the perfect idea: a romantic getaway with our special deals in Spain and Mexico! You can mix an all inclusive stay, pure relaxation, sunshine, the best entertainment and special dinners in our spectacular beach destinations. If you seek a relaxing and tranquil experience in an upscale atmosphere, your ideal place is Sandos Monaco Beach Hotel & Spa, our adults only hotel in Benidorm, Spain. With the romance package, you’ll get a special welcome amenity and romantic decorations in your room, as well as a couple’s massage and special Valentine’s Day buffet on the night of February 14. New this year, it also includes a theme dinner in the Indian restaurant at the hotel Marconfort Benidorm Suites. With our romance packages, you can also discover the magic of the Canary Islands at our properties in Tenerife and Lanzarote alongside that special someone. At Sandos Papagayo Beach Resort in Lanzarote, and at Sandos San Blas Nature Resort & Golf, our 5-star eco resort in Tenerife, you’ll upgrade your stay with massages, a bottle of wine during dinner, and cava and bonbons in your room, as well as the special Valentine’s Day buffet dinner. Start the year off with a romantic vacation on the coasts of Spain this February. And don’t worry about the date – these romance packages are available from February 1 through March 5, but hurry because they will run out! Of course, the special Valentine’s Day buffet dinner is only available on the night of the 14th. To book your stay in Spain with the special couple’s package, just select your dates and preferred Spain hotel on our website www.Sandos.com and look for the room called “Romantic Escape”. Meanwhile at our all inclusive resorts in Mexico, we’ll be celebrating Valentine’s Day by offering special discounts February 7 – 21 so you can buy your romantic getaway at an even more affordable price. 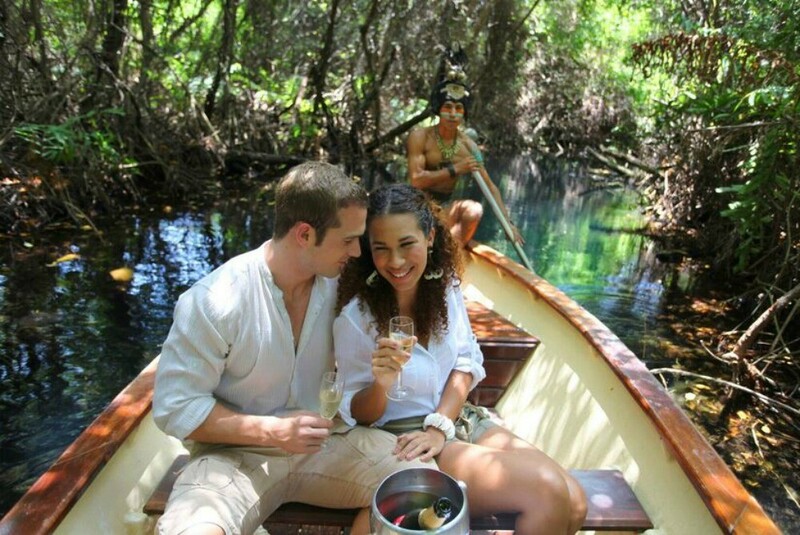 Click here to see the Valentine’s Day discounts at each of our resorts in Mexico. And if you can’t travel in February, don’t worry: the Valentine’s Day deals apply to trips up through spring or winter, 2017, depending on the hotel. Take advantage of these special discounts to enjoy a romantic escape with that special someone on the best beaches in Mexico. Our resorts also offer you a variety of options for romance throughout the year, like romantic dinners on the beach, couples’ massages, romantic boat rides at Sandos Caracol, and our Select Club Adults Only sections at Sandos Caracol and Sandos Playacar. This year, Sandos will help you surprise your significant other with a romantic (and affordable!) vacation to our all inclusive resorts in Spain and Mexico, the best Valentine’s Day gift! Take advantage of these discounts on our Sandos.com website, and we’ll see you soon here on the most beautiful beaches. ← See the Most Exciting Renovations at Sandos in 2017!